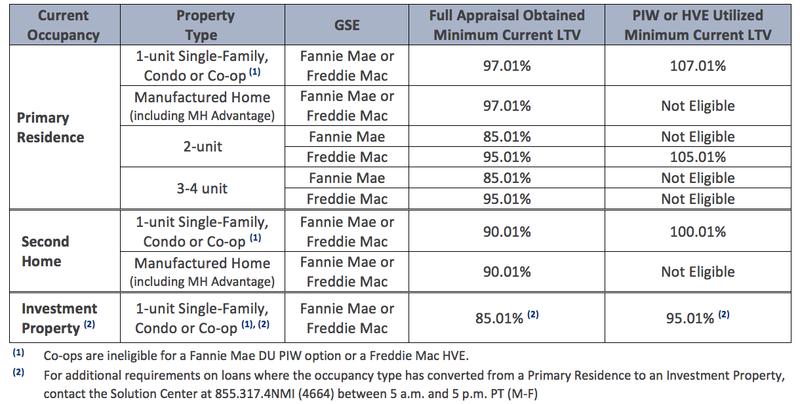 GSE Refinance Certificate Change: Applies to loans owned or guaranteed by Fannie Mae or Freddie Mac and originated under Fannie Mae High LTV Refinance or Freddie Mac Enhanced Relief Refinance programs. 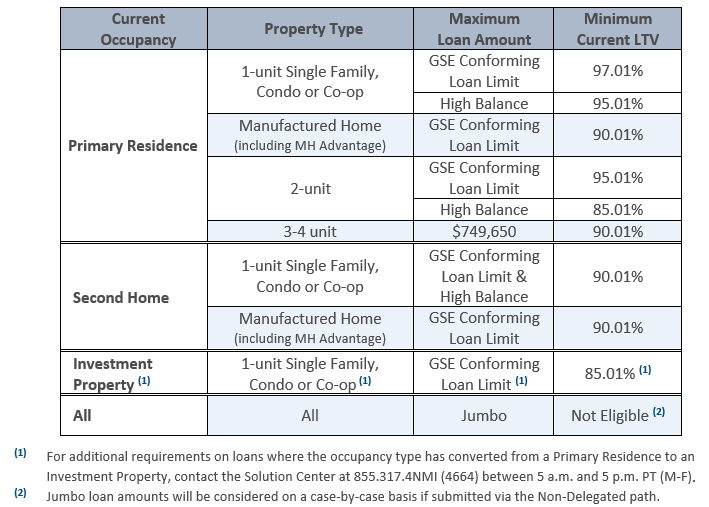 Non-GSE Refinance Certificate Change: Applies to loans not owned or guaranteed by the GSEs and/or are maintained in a lender’s own portfolio. For B2B/EDI transmissions, please contact the Solution Center at 855.317.4NMI (4664). Please do not cancel or terminate the National MI Certificate on the existing loan. Once National MI has received and reviewed the documents, we will provide the submitting lender with a notification. Within approximately 10 business days of receiving a complete and accurate MI submission, eligible loans will receive an interim replacement National MI Commitment with the same National MI certificate number. Call the Solution Center at 855.317.4NMI (4664) between 5 a.m. and 5 p.m. PT (M-F).